In general, power banks are the fastest growing charging electronics on the market and the simple reason is that they’re portable chargers. There are quite a lot of other charging electronics out on the market such as USB wall chargers, Car chargers, Wireless chargers and a whole other bunch but the main flaw that they have is that you have to keep your devices stationary for charging. That can be very frustrating as we have places to go and waiting for charging to happen is not a convenient thing to do. That is why power banks are becoming popular, as we’re able to take them everywhere and charge our devices at the same time. The great thing is that there are lots of companies that now sell power banks and that has resulted in quite a lot of innovation. So much innovation that there are now lots of different types of power banks on the market. In this article, I’ll be going through how to choose a power bank and the main types of power banks on the market as well. The power capacity of a power bank is what all of them are based on and it’s basically what creates the experience with a portable charger. For the most part, many people like to use Mini power banks, because they’re small and they’re easy to carry in their pockets. However, the reason that some power banks are so small is that they have low power capacities which result in them having very few batteries and small ones as well. As result, Mini power banks are not long lasting and meant for charging smartphones most of the time; as it’s the portability that makes them great. There are power banks that have high power capacities and these ones are larger because they have more powerful batteries. High capacity power banks are larger and heavier, so even though they won’t fit into your pocket they’re still portable. With that said, they’re the more useful type as these types of power banks have enough power to charge smartphones numerous times over with just a single charge and still have the power that can last for a few days. Another major thing is that they have many USB charging ports, which means that you charge lots of devices at once. 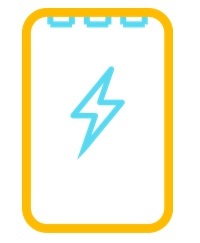 Power banks that have low and high power capacities are just the base types of portable chargers on the market and there are a lot of types in between that have different abilities. For example, there are power banks that are tough enough to fall to the ground and not get damaged; as well as waterproof ones. These are called Rugged power banks and they’re among the most useful types if you don’t want your power banks to get damaged and they’re great to take on hiking or camping trips as well. Another reliable type of power bank are ones that have built-in cables and the reason for that is because if you forget your charging cable at home, then you’re stuck with a useless power bank. That is why power banks with built-in cables are the most reliable as they have cables that are always ready to use. Some of these chargers use built-in components that are used to recharge the power bank itself such as AC Adapter or USB cables. When it comes to actually using the power bank, what matters next after power capacity is the charging speed. For the most part, Mini power banks have slow charging speeds but newer ones are beginning to have fast speeds. However, high capacity power banks that have multiple USB ports is where charging speed is most important because you want each of the ports to deliver fast enough charging speeds. 1 Amp speeds for each port are not good because most devices are able to charge faster than that. Instead, a 2 Amp charging speed is best for most devices. 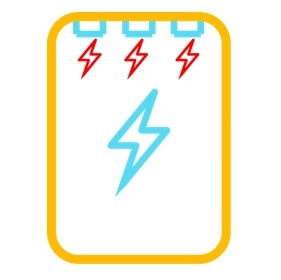 If you want to recharge tablets such as iPads then you should look for power banks that have a 2.4A charging speed. 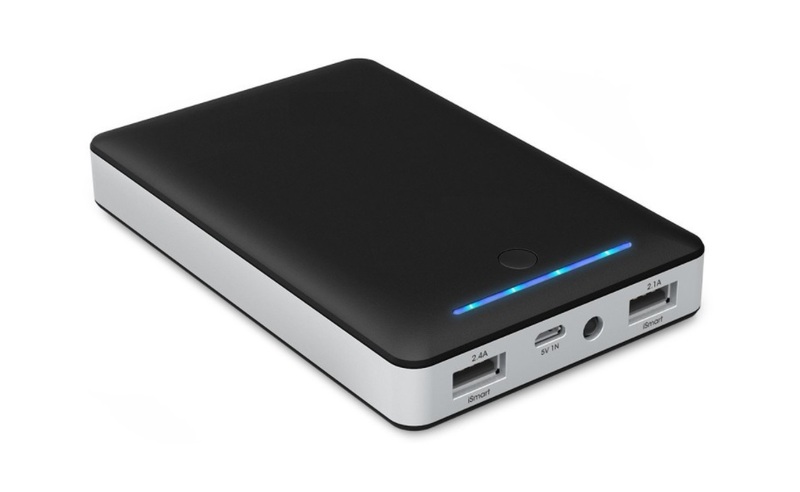 You also have to consider the Max Output, as the Max Output is the power bank’s ability to output as much power as it can at once. 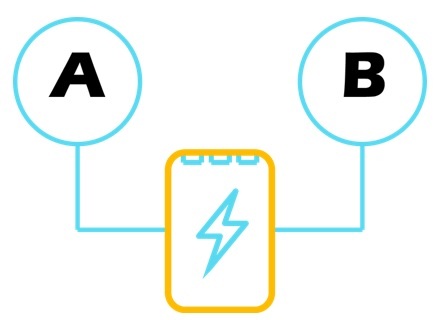 Special charging tech is becoming more common among devices, and these fast charging technologies include Quick Charge and USB-C. When you use compatible devices with those charging technologies then you’re able to charge them at very fast speeds. Since there are lots of companies that sell power banks, as I mentioned at the beginning of this article, it means there’s quite a lot of innovation. It also means that there are lots of companies that sell low-quality power banks too. That’s because there are quite a few companies that rely on the consumer’s lack of knowledge of what they’re purchasing. These companies may use phrases such as “Fast Charging” or “Small Compact Size” to advertise their power banks but in reality, their power banks feature slow 1 Amp charging and are rather larger than what they should be. Which is why it’s vital to take a look at the details and see what the power bank actually features with its Output and Input charging speeds. Another notable thing from companies is their warranty; because of a long warranty basically, shows that a company believes that their product holds value and quality.